Converting a scanned image to PDF and signing it is a very easy procedure. We will tell you how to sign a scanned JPEG document online in just few clicks. Using ScanWritr you can convert an image from any PC, Mac or other device. Furthermore, you don’t have to install any app. 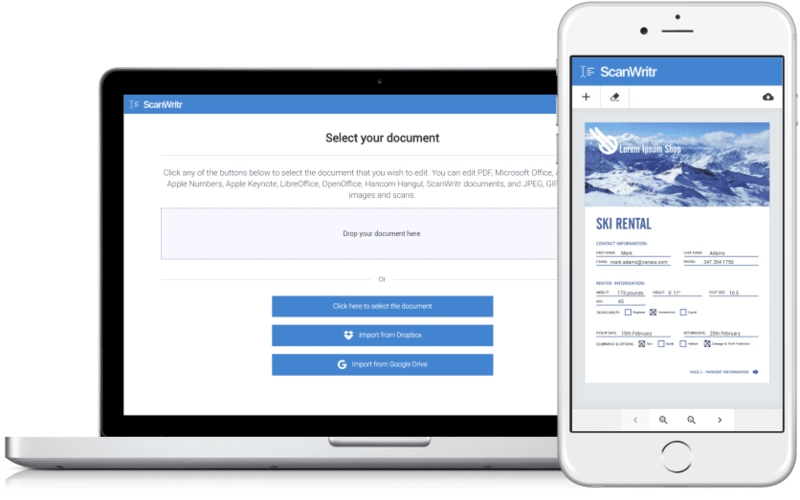 ScanWritr is an online editor and converter that brings old fashioned paperwork into the 21st century. You can sign JPEG document online with ScanWritr as it enables you to directly open JPEG image, scanned document or taken photo and sign it. 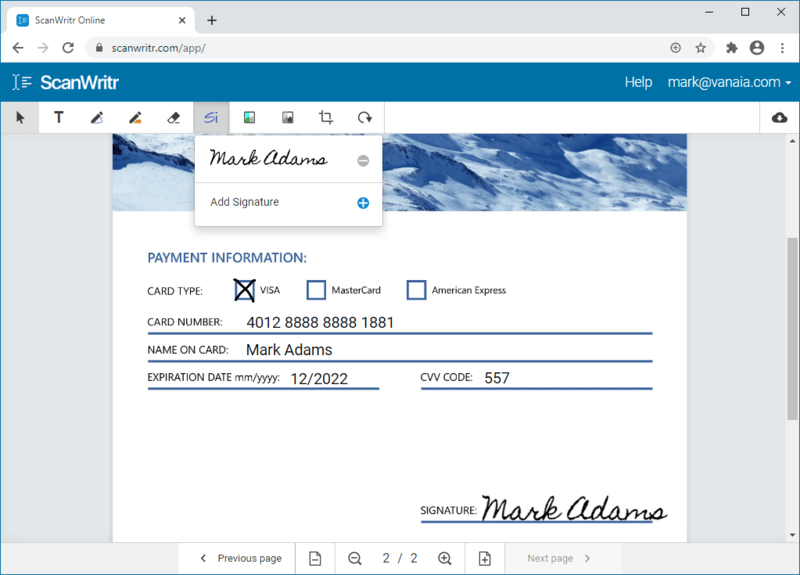 Sign with a pen or import signature from image. You can also save up to three signatures to be ready for further signing. Make a signature using pen, take a picture or import your signature or stamp and save it for quick use in future. Go to the ScanWritr web and upload the JPEG image you want to edit. Then fill it, sign it, preview it, export it and that’s it. ScanWritr recognizes all most common document formats. Open MS Office documents, Apple iWork documents, Adobe Acrobat PDF, OpenOffice and many others with just a click. So, you don’t have to convert documents manually. 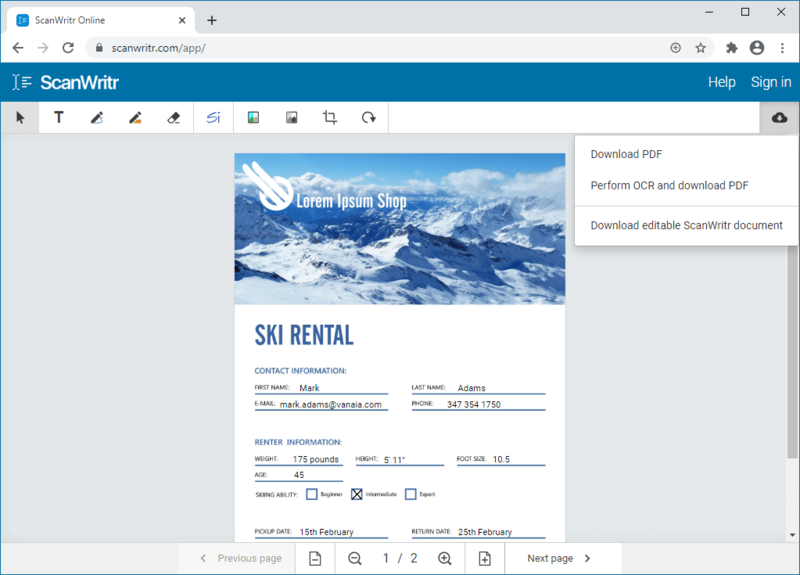 ScanWritr also supports uploading JPEG, GIF, PNG and BMP picture formats, therefore you can easily take a photo of your physical document using your smartphone. You can also scan a document using your home or office scanner. ScanWritr will automatically convert and optimize it for editing.